Is your Building Regulatory Compliant for First Responders? Does your Building Need Cell Phone Coverage? Our “DAS-Defined” design process delivers the highest level of in-building cellular and public safety wireless coverage with a full guarantee for fire-code and carrier compliance. Built in Coordination with Carriers and Government Regulatory Compliance Standards to Support Users in all Situations. Systems designed for value and expandable to meet tomorrows technology. 95% of all phone calls are made from cell phones and 85% are made indoors. Hotel staff and their guests alike rely on wireless voice and data services to stay connected. For guests, this continual wireless connection is no longer an option, it is a must. Business or leisure guests expect reliable wireless coverage in their hotel rooms, conference suites, in shops, spas, restaurants, poolside or anywhere throughout your property. Healthcare presents a highly dynamic environment for voice and data requirements. With patient-care at the core, reliable wireless support is critical for your medical staff’s voice access, data application support and overall safety of patients for public responders. Additionally, a new dynamic for healthcare professionals to consider is the impact of patient satisfaction. Seamless wireless support is continually rated as one of their most important criteria. WSS has been a leader in providing in-building wireless solutions to Native Communities throughout the Southwest. Our broad expertise has been used to voice & data communications to remote areas, into complex venue environments and challenging Casino and hospitality environments. Safety, customer experience and overall operations management demand reliable wireless connectivity. The demand for in-building wireless solutions is growing dramatically and is estimated to exceed $13 Billion dollars. From new governmental regulations requiring In-Building coverage for First-Responders, to client demands for cell phone service, new construction almost always stipulates DAS. In either case, this complex and import technology solution requires expertise to exceed these regulations and the client’s demand for seamless wireless voice and data connectivity. Working with a partner that can design, turnkey and provide a compliance guarantee is critical to your success. In-Building Wireless Communications are critical to Public Safety operations. In many cases for local governments, “IT’S THE LAW”. Local governments are rapidly adopting the National Fire Protection Association (NFPA), and the International Fire Protection Association (IFPA) Codes that mandates Public Safety Communications be included in new construction, stipulating that buildings with public-access employ In-Building Wireless Enhancement Systems when local Police and Fire communications is inoperable. Along with Public Safety Communications so First Responders can communicate throughout the campus, Cellular connectivity is a must for all the obvious reasons. Wireless communications is an essential part of today’s campus environment. Today’s students and faculty need reliable campus-wide wireless coverage to ensure that the current educational standards are not only met, but exceed the student’s expectations for a connected community environment. Schools, Colleges and Universities are providing this state-of-the-art wireless connectivity for student safety, to drive their success and to simulate the work environment these students will experience upon graduation. Wireless Signal Solutions, chosen by the Best Carrier Approved manufacturers in the Distributed Antenna System (DAS) industry: : Solid, ADRF, Cambium, Axell, Corning MobileAccess, CommScope, Zinwave, Dali and more! We work directly with operators, carriers and vendors to ensure their services are delivered as reliably indoors, as they are outdoors. 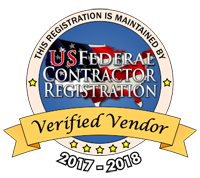 WSS is trained and certified by each of these manufacturers to Design, Install, Commission, Warranty and Service their products.